Carson was born on May 27, 1907, and grew up on an isolated farm in Springdale, Pennsylvania. Her writing talent was evident early; when she was 10 her first published story appeared in St. Nicholas magazine. She earned a full scholarship to attend the Pennsylvania College for Women (now Chatham College) in Pittsburgh and graduated with a zoology degree in 1929. Carson spent a summer at the Woods Hole Marine Biology Laboratory in Massachusetts, where she saw the ocean for the first time and developed a passion for aquatic biology. In 1932 she earned a master’s degree from Johns Hopkins University in Baltimore while also teaching zoology at the University of Maryland. Subsequently joining the Bureau of Fisheries (later the Fish and Wildlife Service) in 1936, she wrote various government publications and radio scripts. In 1941 her first book, Under the Sea­Wind, appeared and received positive reviews. Carson’s next book, The Sea Around Us, was published in 1951 and included information from previously classified government research (including oceanographic discoveries) and her own recent diving experiences. The book was a success, received various awards, and established Carson’s reputation as a science writer. In 1953 the RKO film based on this book won an Oscar for best documentary. The Edge of the Sea was published in 1955 and won more honors. Carson had long harbored concern about the increasing worldwide use of pesticides, particularly the chemical dichlorodiphenyltrichloroethane (DDT). 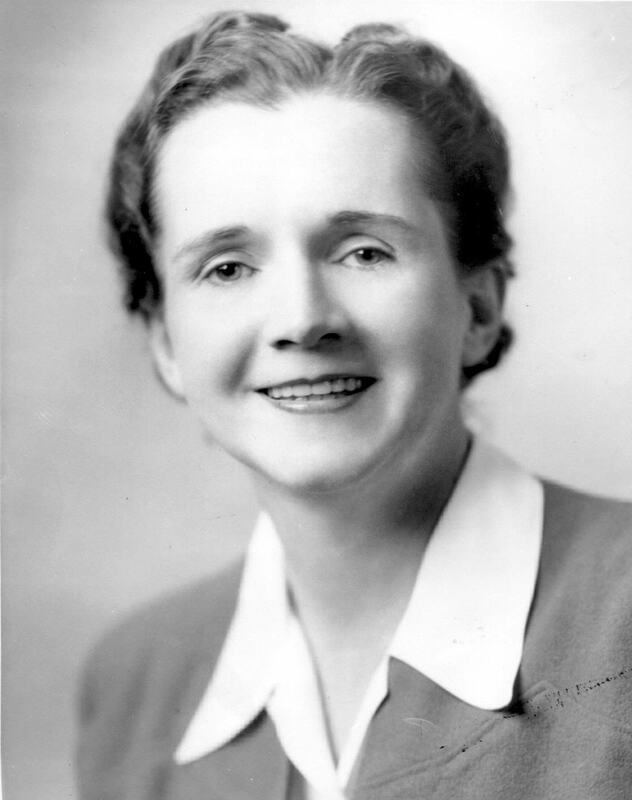 Enlisting the aid of numerous scientific experts, she gathered data for her next book, Silent Spring which was published in 1962. In this book she argued that pesticides threaten environmental health and that human efforts to control nature had begun to destroy ecological systems. Chemical corporations attacked the book and attempted to discredit Carson by questioning her scientific credentials. Some reviewers resorted to sexist comments, calling her “a hysterical woman.” She had anticipated these negative comments but had the courage to speak out publicly about the widespread effects of pesticides. Her calm demeanor and extensive knowledge displayed during lectures earned people’s respect and raised their concern. Subsequent public outcry led to government investigations of pesticide contamination of food and the environment; bills to regulate pesticides were quickly passed. Carson’s health had been failing for several years, and she died of cancer on April 14, 1964, in Silver Spring, Maryland. In 1980 President Jimmy Carter posthumously awarded Carson a Presidential Medal of Freedom, the highest honor a civilian can earn from the United States government. Carson’s Silent Spring brought national attention to the issue of protecting the environment from pollution, causing controversies that are still alive today. She built the framework for the environmental movement; she emphasized working with natural processes instead of fighting against nature. Carson inspired a public campaign to influence environmental legislation. Immediately a presidential advisory committee, to which Carson presented influential testimony, was formed, and by the end of 1962, state legislatures had introduced more than 42 bills to curb pesticide use. The campaign led eventually to the formation of the Environmental Protection Agency, a government group that monitors and regulates biological conservation. Raising concern about pesticide damage and the squandering of natural resources, Carson helped initiate a public movement, a strong social and political force, aimed at preserving the environment. A worldwide reduction in agricultural chemical output (including that of pesticides such as DDT) was one of the results of efforts to decrease the environmental impact of human activities. The movement has also altered the way many people live and think by introducing the concept of bioaccumulation, the process of residual pesticides accumulating in the diet. Her lyrical writing about life in water, soil, and air, and her joy in sharing that natural world with her readers are testimony to the sense of wonder she promoted and celebrated in her life and works. Carson’s descriptions of the interdependencies of living species are models of beauty and subtle logic that inspire people to care about the environment. This is the core of her enduring legacy. Posted on March 5, 2015 by Natalie. This entry was posted in Biologists. Bookmark the permalink.